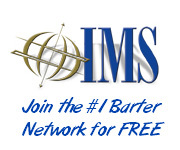 Many barter exchanges issue scrip that can be used at restaurants that are in the exchange. Often they come in 10 dollar increments and they have a spot on each to enter your name and the name of the restaurant where you are spending the scrip. Filling out 10 of these for a $100 tab is a pain and in the past I never could see a good reason why I should bother. Well let me tell you….I do now. By at least putting the restaurant’s name on the scrip when you spend it, you can ensure this will not happen to you. Once that restaurant’s name is on the scrip, only they can turn it into the exchange for credit. That is important because it protects you from being blamed when/if someone else abuses the scrip by spending it the wrong place or by not paying the tip/tax in cash as they should. Also by filling out the scrip you insure that your exchange will get their appropriate transaction fee. So the take-away here is to fill out those blanks on your scrip. I know it’s a pain, but it’s worth it! I learned the hard way. 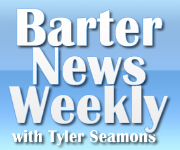 Next ›Bartering in a "sellers market"